UKAPU Membership now free - go and sign up! As per the title, UKAPU membership is now free - go and sign up immediately. For those not in the know, UKAPU is a player led airsoft lobbying group which has been speaking with various parliamentary committees regarding the proposed changes to firearms law in the UK. Lobbying groups are far more effective when they have a large number of members (voters!) to back up their points. You don't need to DO anything, just stand up and be counted, if every regular airsofter in the UK signed up for a UKAPU membership their clout in various meetings would be massive, far more so than the various anti-firearms groups (mothers against guns etc). Airsoft isn't 'under threat' right now, but the anti gun lobby is always looking for a way to limit/outlaw what we do, for no other reason than they're afraid of anything shaped like a gun. A link to something actually worth joining, an AF-UK first! Had no idea they even existed till reading this, have only been playing less than a year though so that's probably why. They can have a tenner off me, that's nothing for the peace of mind knowing there are people more articulate and in the know than I am out there fighting to keep Airsoft going in the face of some of the proposed BS laws. The whole family are in! Hmm, I don't particularly like the fact they can't even encrypt the connection to their site. I'm 100% sure their database holds passwords in plain text, or at the very best hashed without salt. I would love to join, but that's immediately put me off. Edit: Ok, apologies. Just noticed it seems the site work was done by a volunteer. Might get in contact with that chap to check a few things out. Just because a website doesn't have an SSL doesn't mean they don't store their passwords correctly, but you're right in that the signup isn't encrypted which is a bit of a no-no. It's Wordpress though so it's storing them correctly for sure. I see where you're coming from, but when there's one hole there tends to be more if you look deeper. I've signed up anyway, seems a worthwhile cause. In my experience it's generally the sites that do have a fancy wildcard SSL cert that tend to be the ones with a horrible database schema and - in a lot of cases - zero hashing/salting. 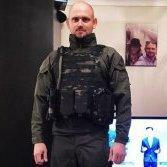 Anyhoo, if I avoided the sites that looked like they were cobbled together by someone's uncle then I'd pretty much be buying all my airsoft stuff off eBay, lol. What about 14-18 year olds? So what happens now what does this mean, do they send something out or what??? What would they send you? Glad to see them doing this, should have been free from the start - maybe progressed it with Airsoft Nation to create another form of defense or something. Good stuff. Guys I understand that UKAPU membership is not a valid defense for RIF's Purchase. or is it ? This can't be really true right? I mean, anyone can join UKAPU. 'Valid defence' is as vague as you want it to be as the onus is on the seller, but they wouldn't be able to prove that you're a skirmisher from UKAPU membership as anyone can get it so I imagine they would be easily prosecuted. Again, as a buyer that's not your problem, but as a conscientious airsofter you might want to send them an email. That said, actual airsofters don't really consider a shop like that anything more than a distraction for new players who are looking to waste their money on something that will fall apart, but if legislation has to be brought in because they're doing doing their due diligence then you can bet it'll affect all of us anyway. See now, there's your mistake. and yes, I'm dropping them an email like right now. Ultimately if they will accept UKAPU membership then that's on them. It's them that'll get prosecuted for selling to someone without a valid defence. More the issue is that they have a terrible track record as a shop and pretty much everyone will advise against buying from them. That's not to say that people haven't had perfectly satisfactory experiences with them but IF something goes wrong, don't expect them to be much help. you half sort of want them to brought up in court to test just what is a "valid defence". I don't believe any of the defences have been tried in court yet? well I have emailed them, awaiting reply.